Yes, social media can predict returns in financial markets – as we discussed in a previous post. The general mechanism: investors gather information via social media, or social media captures their attention. Social media as a news channel? But which type of information do social media channels provide? Consider your own media behavior: How often do you create a new message, vs. a re-post or simple comment on other messages? Many users simply do the latter because it sames time and energy. And if you really had new information regarding a financial asset, would you publish it via social media? Or would you make your investment, and then simply wait for a “bigger” channel to publish it? In a tight network, users tend to re-post other messages, leading to a high degree of information correlation. As a result, only little useful information is revealed per individual post. In a loose network, on the other hand, users generate diverse content, and there is little correlation between the different posts. Hence, any information revealed is (potentially) more valuable in predicting returns. 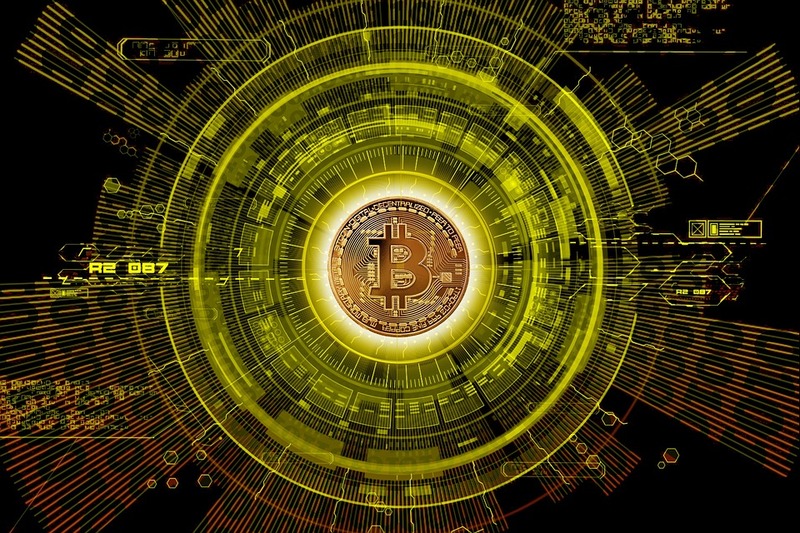 In their 2017 working paper “Network Structure and Predictive Power of Social Media for the Bitcoin Market”, Xie, Chen, and Hu focus on Bitcoin investments and social media connectedness. They consider messages on a Bitcoin discussion forum‘s “Speculation” board. In this board, users can either submit new posts to a discussion thread, or quote previous postes. The authors count the number of posts between December 2012 and June 2016 for each thread. To determine how tight the network is for given thread on a specific day, they divide the number of quotes by the number of posts in the thread. Similarly, the authors determine the sentiment reflected in a thread on a day as the ratio of negative words to the total number of words. Bitcoin prices come from BTC-e, a now-defunct digital currency-trading platform. Bitcoin return prediction: Are looser networks more informative? In their main analysis, Xie and coauthors then run a predictive regression. The dependent variable is the Bitcoin return on a day t. The main explanatory variables are sentiment on day t-1, and the interaction between network tightness and sentiment on day t-1. Since Bitcoins arguably have little fundamental value drivers, the authors only include trading volume and lagged returns as controls. Their implicit assumption is that sentiment is the main factor for Bitcoin return prediction. We present the main results in Table 1, separately for threads with at least 8 and at least 15 posts. Table 1: Predictive power of sentiment for tighter vs. looser networks. Source: Xie, Chen and Hu (2017), Table 4. Bold font indicates significance at the 5% level or higher. Table 1 shows that sentiment measured within the “Speculation” board affects next-day Bitcoin returns significantly. The effect is also economically substantial. When the percentage of negative words in a thread (with 8+ posts) increases by 1 percentage point, the next-day Bitcoin return drops by -0.525*0.01 = -0.525%. For short threads, tightness plays no role. But in longer threads with 15+ posts, Bitcoin return prediction becomes harder as tightness kicks in. An increase of negative words by 1 percentage point reduces next-day Bitcoin returns by 0.01*(-1.568)=-1.568% for a completely loose network. For a network of average tightness (0.551), the reduction equals 0.01*(-1.568)+0.01*(2.050*0.551)=-0.438%. Hence: a more connected network is less useful for forecasting Bitcoin returns, as it reveals less information. In contrast, a loose network reveals more information, and is thuse more useful in predicting Bitcoin returns. Take-away: Don’t follow the herd! In summary: A tighter social network loses the power of predicting future returns in the bitcoin market. Users simply “free-ride” on the information generated by others. In aggregate, little new information is created. So, there are two take-aways. First, Bitcoin return prediction is hard – you must filter out what “everyone” says, and find the information nuggets in the haystack. And second, if you want to become an influencer, don’t repeat what other say – find your own voice!